J.Scot Fishburn is the President and Director of JL Gray Company which specializes in both property management and development of affordable housing. Scot has ownership interest in 26 multi - family properties. The company manages more than 120 affordable housing properties in Colorado, Arizona, New Mexico, Texas, and Utah. Scot has diverse housing experience with HUD, USDA Rural Housing Services (514, 515, and 538 loan and grant programs), HUD 542(c) Risk Share lending programs, Section 42 Housing Credits, and HOME partnership assistance funding. He is a NM Real Estate Broker and a member of the Council for Affordable Housing, Southwest Affordable Housing Group(SWAHG) and the New Mexico Apartment Association. He has a Bachelor of Science Degree in Mathematics from Brigham Young University and a Master of Science Degree in Applied Mathematics and Computer Science from Purdue University. Scot headed the Computer Graphics Division of Sandia National Laboratories and was the owner and President of Southwest Building Blocks. 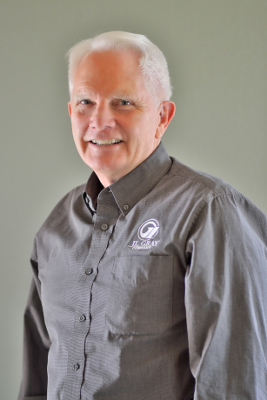 With his many years of volunteer work in his community, Scot brings diverse and extensive background to the senior management of the JL Gray Company. Scot is a husband, father, and active member of his community. He and his wife, Sheila McGee Fishburn, have five children. J.Eric Fishburn is the Vice President of Operations for the JL Gray Company with 12 years of affordable housing experience. 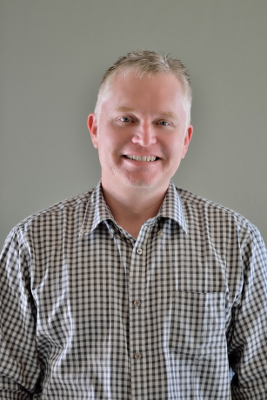 He has a Bachelor of Science degree from New Mexico State University and is a licensed Real Estate Broker in Colorado and New Mexico and works with our Arizona broker. Eric holds the Spectrum C3P, STAR, and HCCP designation, HUD Certified Occupancy Specialist and has certificates in Fair Housing and the Housing Credit Training. He is a member of SWAHG and the New Mexico Apartment Association. Eric supervises our asset managers on issues involving the communities we manage. This includes training for the site personnel, preparation and response for site inspections, and communication with the agencies involved in funding for our properties. He and his wife Rachel have two sons and a daughter, and they are involved in volunteer work in the community. Bobby C. Griffith is the CFO and Director of Acquisitions for the JL Gray Company – he has over 34 years of experience in the multi-family housing industry specializing in affordable. He oversees all aspects of accounting including preparing and maintaining of all financial records and all required reporting for compliance with HUD, USDA, and Tax Credit Agencies. Since joining JL Gray the company has grown from 45 to over 130 communities. 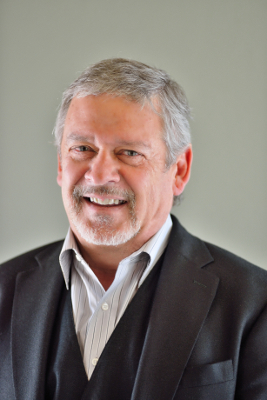 In addition to his duties with JL Gray, Bobby is the President of the Apartment Association of New Mexico an industry association whose mission is to empower, promote, preserve, and advance the rental housing industry in New Mexico through innovative education, advocacy, legislation and communication. And is also the president of Southwest Affordable Housing Group (SWAHG) - an industry association which represents owners, agents, developers, non - profits and service providers of affordable housing in the southwest. These two associations jointly host a yearly conference known as the Apartment Conference and Trade Show. This conference brings over 600 people together for education, networking and an excellent tradeshow. Bobby is also a member of the Affordable Housing Association of Certified Public Accountants (AHACPA). He serves on two committees for the National Apartment Association (NAA): Affordable Housing & PAC Ambassadors. He is a past President of the Affordable Housing Management Association – Southwest (AHMA - SW) (5-year term), past Director of Rural Rental Housing Association of Texas (RRHA - TX) (4 years) and served on the Board of Directors of the National Affordable Housing Management Association (NAHMA) (7 years). He has numerous housing accreditations including National Assisted Housing Professional Executive (NAHP - e), Housing Credit Compliance Professional (HCCP), Spectrum Training Award Recipient (STAR - RD), Certified Credit Compliance Professional (C3P), Housing Compliance Manager – HUD and RD (HCM - HUD) (HCM - RD), Certified Occupancy Specialist (COS), and has numerous Fair Housing Certifications.